I've been a Sophie Kinsella fan since I first read Confessions of a Shopaholic way back in 2000- hard to believe that was 18 years ago! While I adored Becky and her hijinks, and a Becky reread is always a good palate cleanser, I enjoyed this more true-to-life portrait of a couple 10 years into their marriage. 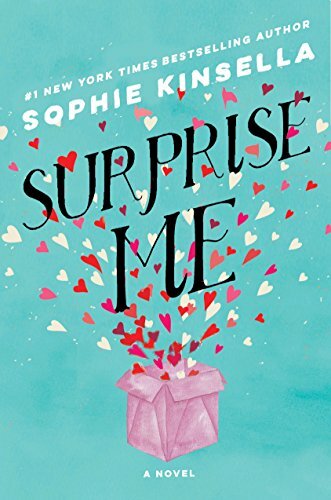 Although I'd definitely categorize this as a fluffy read, Surprise Me took a turn and ended up being quite a bit deeper than I expected- and I felt the ending was quite a surprise indeed. 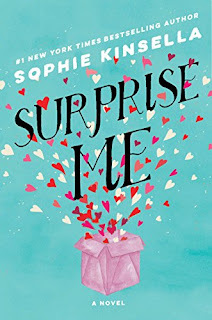 Fans of Kinsella will enjoy Sylvie and her zany antics and trademark Sophie Kinsella humor.